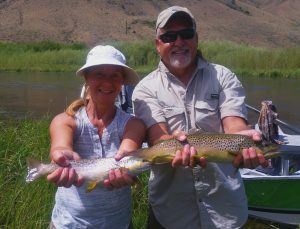 Last week we had the good fortune of hosting Tammy and John, guests of Harlan (who has been coming to Healing Waters Lodge for 15 years) and his wife, Amy, all soon to become “in-laws” as their children marry. Thank you John and Tammy, Harlan and Amy, it was our pleasure! Congratulations to you all!